Unveiled by Inmarsat and promoted as the ultimate weapon in the battle to win the maritime customer, the Inmarsat Global Xpress service has since faltered. Two years after the service was introduced, its star has faded as questions regarding the suitability of the GX Ka-band service in tropical rain has come to light. The potentially limited capacity of its Ka-, Spot Beam-only infrastructure has also been revealed. To date, only one significant sales of Xpress Link, the guaranteed upgrade path to Global Xpress, has been announced, a 46-vessel deal with Malaysian shipping company MISC Berhad. Meanwhile, Intelsat, KVH Industries, O3b and others have introduced highly competitive and potentially lower cost services than Global Xpress, all designed to break broadband customer ties with the decaying Inmarsat monopoly. Make no mistakethe Giant is foundering and under siege by powerful new forces. Heres a look at the new Inmarsat-free broadband combatants and their potentially game-changing impact upon Inmarsat and the Maritime and Aviation Communications Markets. Intelsat EpicNG, the recently announced enhancement high-performance satellite platform that compliments Intelsats Ku- Global Mobility Network, is the realization of Intelsats vision for a mobility service that can efficiently serve the needs of maritime and aviation. In less than two weeks after its formal introduction, Intelsat has landed major contracts with Panasonic Avionics, Harris/CapRock and MTN Satellite Communications. Unlike Global Xpress Spot Beam-only service, Intelsat EpicNG, in combination with the Intelsat Global Mobility Network, provides a unique combination of Wide and Spot Beams. What this means is that Intelsat can deliver high capacity over the heavily traveled great circle routes where Spot Beams are more efficient, and high-capacity to sparsely traveled routes with bandwidth efficient Wide Beams. When launched, the Intelsat EpicNG Service for Panasonic Avionics will feature 200Mbps per Spot Beam and up to 80Mbps to a single aircraft for Internet applications as well as TV, via Wide Beam Ku-. Since Inmarsat relies only on Spot Beams, to duplicate TV channels in every Spot Beam drains significant capacity away from high demand data services. .That, plus availability of higher capacity in its Spot Beams, is why Intelsat, not Inmarsat, was selected to provide Panasonic Avionics with 1Gbps capacity to the 1,500 aircraft the Company serves. Further exacerbating this Global Xpress shortcoming is Iridiums Aireon initiative which, when put into service in 2018, will provide a continuous flow of GPS position data to air traffic controllers, thereby allowing controllers to significantly reduce the distance between planes and increase traffic density in the Trans Atlantic, Trans Pacific and other high-density routes. The net result is a significantly higher demand for bandwidth in a given area, a requirement that Intelsat is best able to satisfy with their high-capacity Spot Beams. In addition to a combination of Wide and Spot Beams, the Intelsat EpicNG Satellites have a diversified payload of C-, Ku- and Ka-bands, an advantage that provides diversification of offerings and reduction of economic risks. The ability to offer services for a multitude of fixed and mobile applications using various frequency bands results in more resilience with lower risk vs. a single-frequency offering. Thus, while Inmarsat must get 50 percent of its revenue from maritime Ka-band, the Intelsat satellites can offer services to a variety of markets thereby lowering dependence on a single market to achieve high utilization rates at lower cost per/Bit. When complete in 2016 or so, Intelsat EpicNG will provide maritime customers with a uniquely versatile network that can be customized to each individual users needs. Meanwhile, the first major component of the servicethe Ku- Global Mobility Networkwill be completed in Q1 2013. One of the most interesting entrants so far into the Inmarsat-free broadband market is the KVH TracPhone V11 and the mini-VSAT Broadband C-/Ku-band service from KVH Industries of Middletown, Rhode Island. Using a single 1.0m antenna, the service provides global coverage through a combination of global C- and Ku-band services. Running on a Spread Spectrum platform from ViaSat, this service offers a fully integrated VSAT platform that uses a single, below-decks modem. With it, IT managers dont have to contend with different networks, different latencies, protocols, or IP settings. Given its significantly larger antenna size vs. the TracPhone V7, performance should be significantly better, making the TP-V11 a potentially formidable competitor at the high-end of the market. Of course, as the service is dependent on a single antenna, KVH will offer Iridiums OpenPort as a backup, should the dual use C-/Ku- antenna need to be serviced remotely, or if the antenna becomes blocked. The new mini-VSAT Broadband C-/Ku-band service is scheduled to be commercially available in September. Its no secret that Internet access on cruise vessels is in need of an upgrade. Unlike the unlimited, fixed-cost, high-speed broadband access that cruisers have at home, Internet access on cruise vessels has, to date, been an outrageously expensive and low quality service. Typically, logging on to the Internet on these vessels costs between $.50 and $1.00 per/minute and speeds are comparable in most cases to dial-up. Due to the high cost and poor performance of these services, passengers have limited their Internet use to the on board Internet Cafés, typically sending low cost emails with small attachments and launching short sessions on the web to check stocks and download personal email. However, the recent popularity of smart phones, the advent of the Apple iPad and the popularity of Facebook have created an insatiable Internet-hungry environment. Due to the sheer size of cruise vessels, a market has emerged for the provision of higher quality, lower cost services. Serving such a market demands a very high capacity satellite infrastructurea niche that O3b is attempting to fill with its new MEO constellation. Capable of delivering 350Mbps to the ship using Ka-band, O3bs new service offers capacities in a single 700-mile diameter Spot Beam far in excess of competitive geosynchronous services, albeit with greater antenna cost and much greater technical complexity. While yet to be proven, 03b has secured a milestone contract with Royal Caribbean International to install the service aboard the largest cruise ship in the world, the Oasis of the Seas. Consisting of three 2.2m antennas, two for primary use, and one for backup, the satellite will actually track the movements of the Oasis of the Seas and provide 350Mbps to the vessel. Such will allow passengers to enjoy speeds competitive with the terrestrial based services they receive at home. The service will employ ViaSats MEOLink high-speed modems and stabilized tracking antennas developed especially for this application. In addition to the cruise ship application, 03b is also looking at the oil patch market using smaller, 1.2m antennas. The Company is also aggressively seeking additional high demand, bandwidth intensive niche markets in addition to its original primary focus on trunking applications. As a result of Inmarsats decision to significantly hike the price of FleetBroadband as a backup option for Ku- VSAT, Iridium is experiencing a surge in demand for its Pilot as a substitute solution. As competing major vendors struggle to find alternatives to the use of Fleet Broadband as backup, Iridiums L-band, or the KVH mini-VSAT Broadband services, are currently the only solutions available. The next phase of services not requiring an Inmarsat service will likely feature C- and Ku-band antennas, some sub-1m that employ Spread Spectrum. Such systems are currently in development. One notable entrant from Maritime Broadband, Inc., suitable for larger vessels, is the 2.4m C-band, dome-less C-Bird antenna, soon to be available in a dual Ku-/C- configuration, and currently available with Global C-band services. To date, the C-band C-Bird has confounded skeptics of its dome-less design. The current C-Bird unit has been deployed on the vessel Hellespont Progress and served without incident for five years. Apart from the drastically lower cost of this antenna, around 80 percent less than a traditional C-band unit, the unit features a modular construction that facilitates installation without the use of a crane, an advantage that cuts installation times to a minimum and lowers installation cost. The new C-/Ku-band version, available in Q3 2013, will address the regulatory restrictions faced by C-band users and automatically select C-band Circular A, Circular B- and Ku- configurations based on least cost, or link quality, criteria. Given the current antennas record of dependable service, the new antenna is worthy of consideration as an innovative alternative to Inmarsat, especially on large vessels capable of accommodating a 2.4m unit. For smaller vessels, expect low-cost, Spread Spectrum 1m C-band backup antennas to come to market in the near future. � The Intelsat Global Mobility Network with the Intelsat EpicNG satellites will be adopted and sold aggressively by Inmarsats major distribution partners who, due to Inmarsats controversial go direct pricing strategy, have become broadband VSAT competitors. � Intelsats EpicNG services and other services that combine C- as a Backup with Ku-Wide and Spot Beam technology will emerge as the systems of choice due to their higher efficiencies and their likely lower cost per/bit. � I believe the KVH TracPhone V11, assuming no technical glitches and attractive pricing, will gain significant market share in the high-end, reliability intensive market. � Iridium and Pilot will become the backup L-band solution of choice for distributors who favor FSS VSAT over Inmarsat Global Xpress. While Inmarsat will continue to dominate the shrinking L-band market, I expect the Global Xpress service will fail to achieve significant penetration in the maritime and the trans-oceanic, Tier 1 commercial aircraft markets. 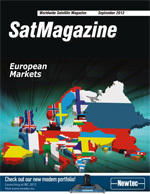 � While it is still too early to sound the death knell for Inmarsats maritime and aviation efforts, it is clear that without major changes in its technology and strategy, well-financed competitors can effectively breach the walls surrounding the Inmarsat citadel and bunker, and if successful, can severely restrict Inmarsats participation in broadband mobility markets. Mr. Gottlieb is Managing Director of Gottlieb International Group Inc. Established in 2001, his firm is a recognized global authority on the use of VSAT in Maritime and Oil & Gas VSAT markets. Gottlieb International Group provides Product Development, Marketing Research, and Sales Training to VSAT Service Vendors, Equipment Manufacturers, Satellite Operators, and M & A support to Private Equity firms. To date, he has an unmatched record for accurately predicting Maritime Satellite trends and events.